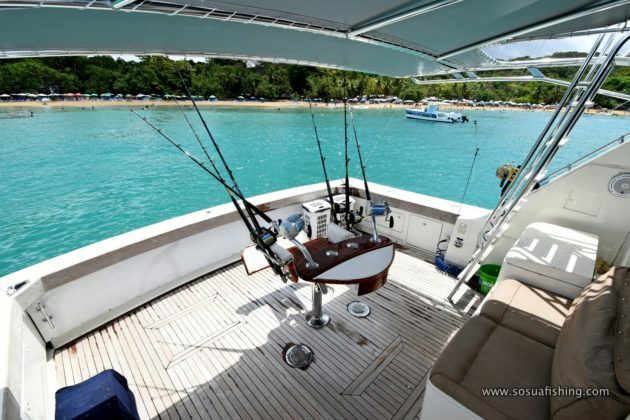 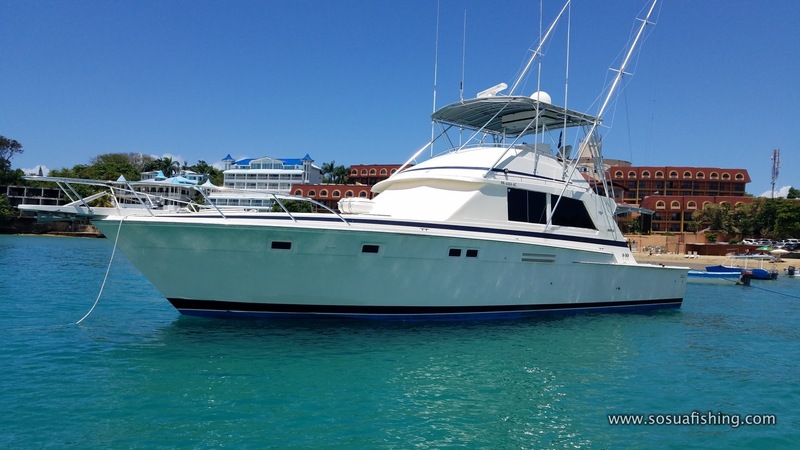 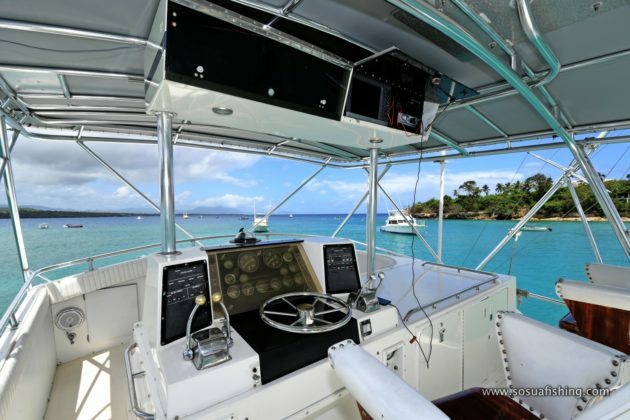 Considered the largest fishing yacht in Sosua, this Bertram 56 offers a relaxed, spacious option for a great outdoors adventure off the North Coast of Puerto Plata, Dominican Republic. 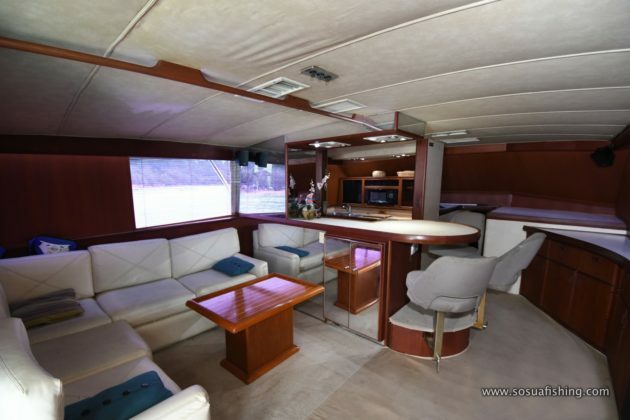 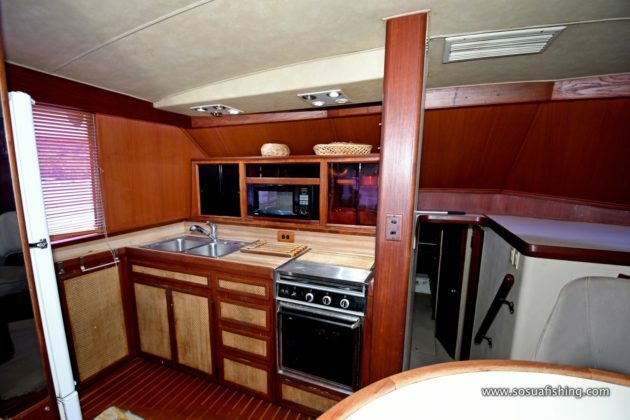 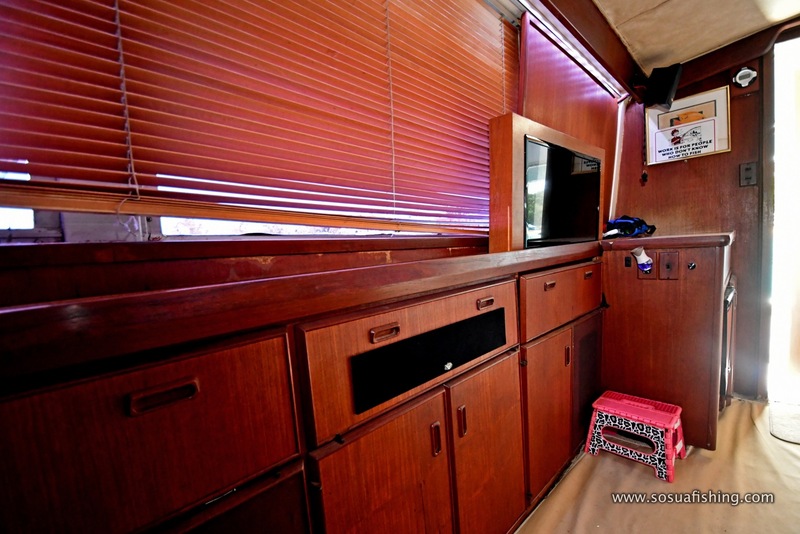 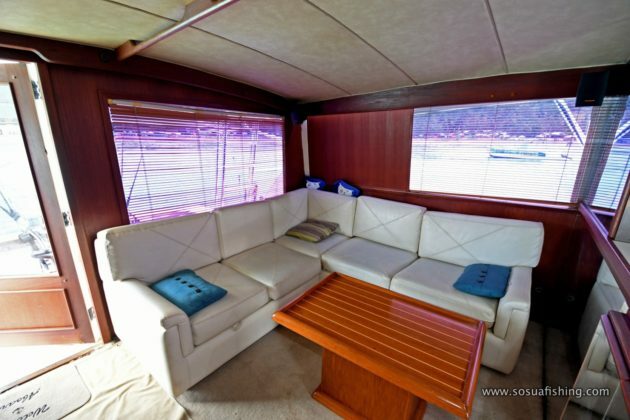 Classic Bertram high end design traits such as fine wood cabinets, circular dinette with swivel stools, L shaped leather sofa, generous kitchen and Teka wooden deck are all part of this large and stately fishing yacht. 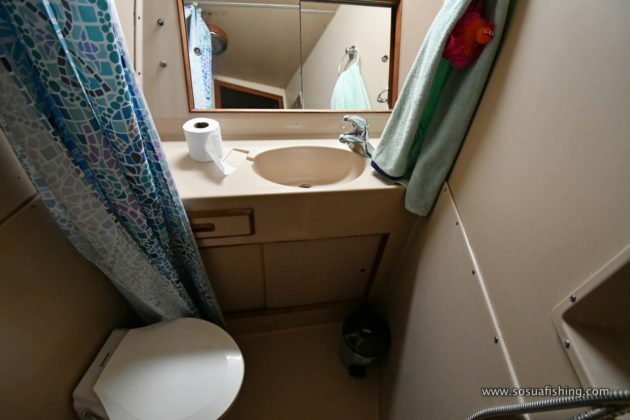 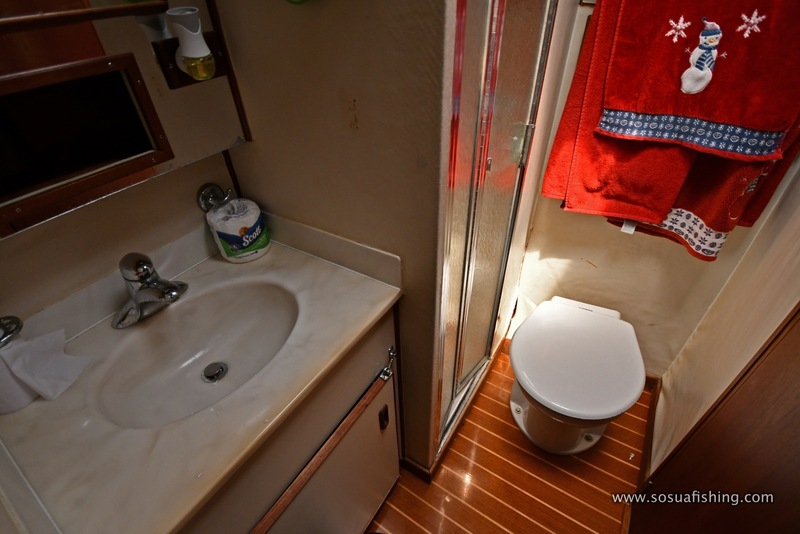 This convertible model has the A model interior with two bedrooms with double beds ( one with bunker design ) and one bedroom featuring double berths. 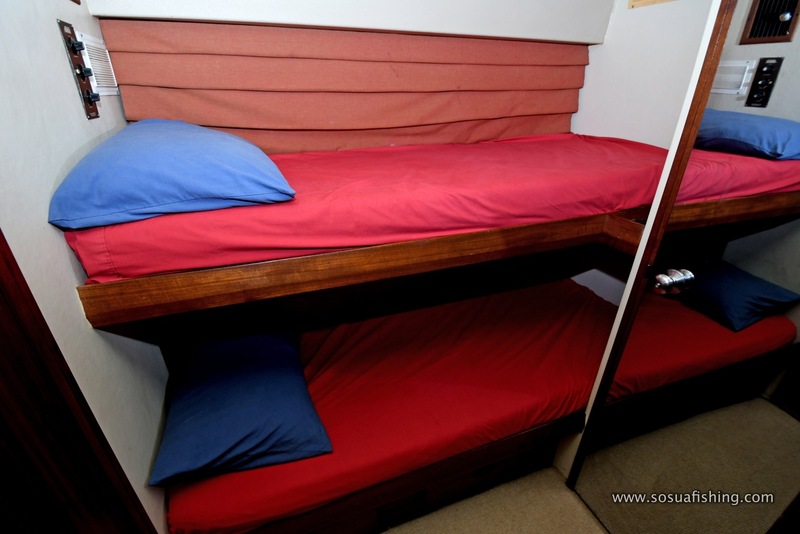 The bridge includes a lounge that can accommodate 7 guests, facing the front side, right before the captain dashboard. The living room includes an L shaped leather sofa and the Bertram-signature dinette with circular table and swiveling stools, with executive wooden cabinets. 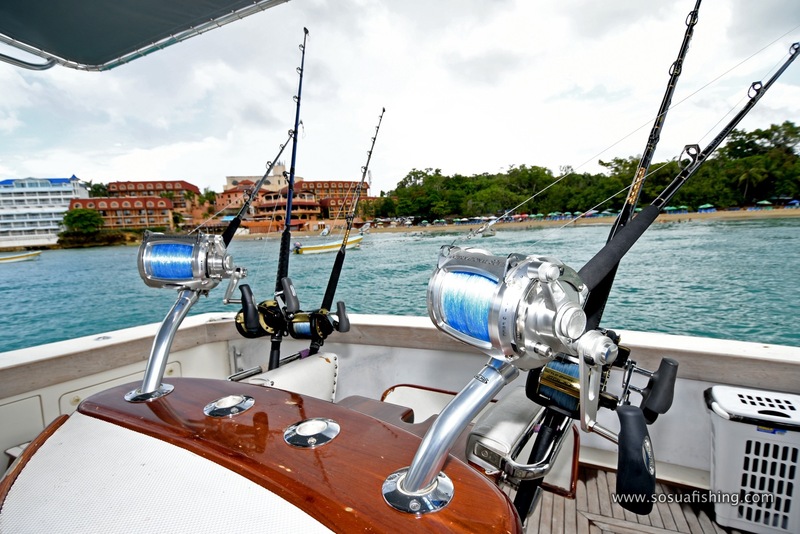 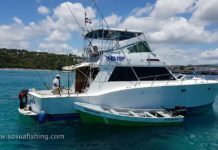 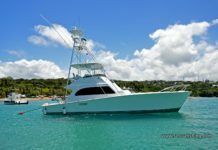 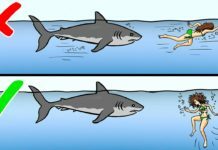 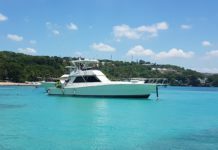 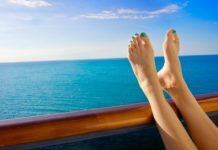 The yacht is fully equipped with pro fishing gear, top rod and reels to catch big game such as Marlin, Tuna, Wahoo, Mahi, and other found in the Atlantic Ocean. 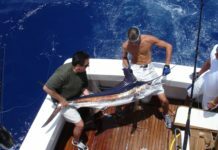 See the fishing and season page for full details. 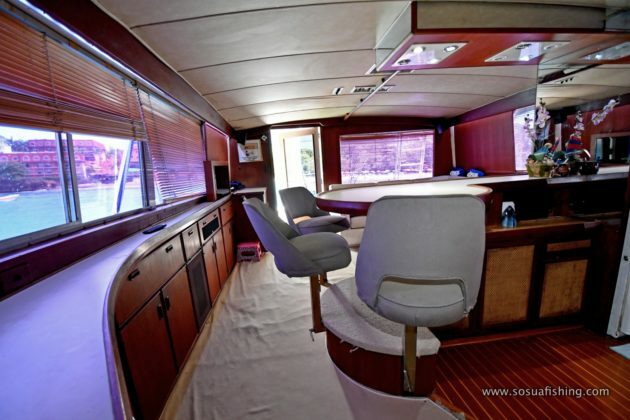 The stereo system allows guests to play and plug their own music, and the tour includes beer, sodas, and water bottles to keep guests hydrated. 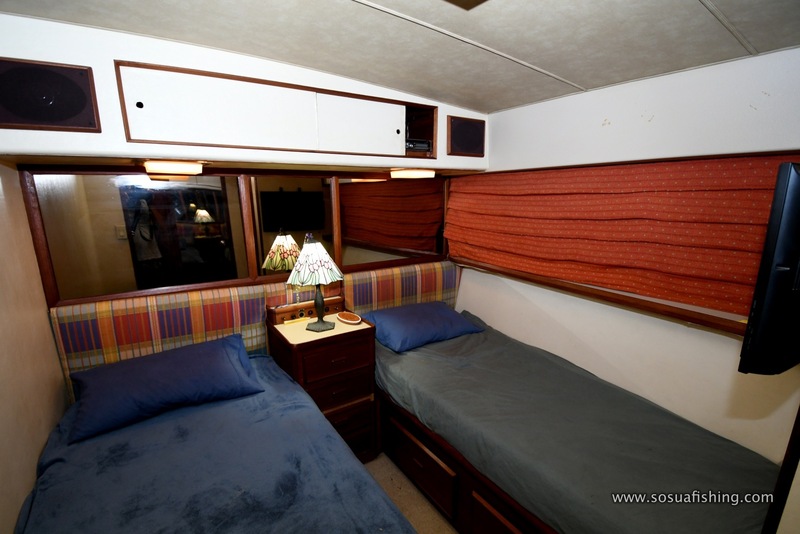 Guests are able to bring extra drinks and food to the tour if desired. 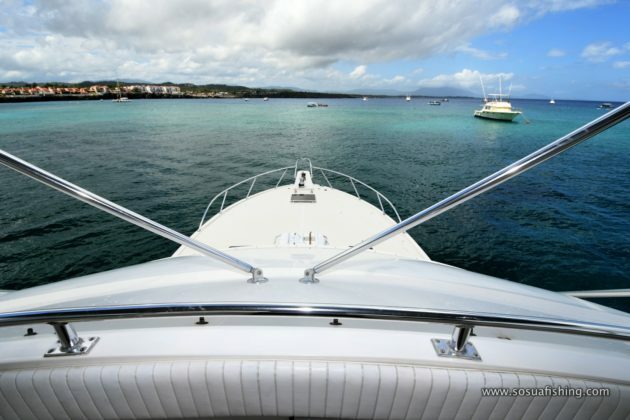 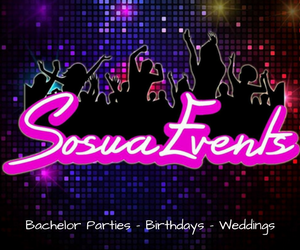 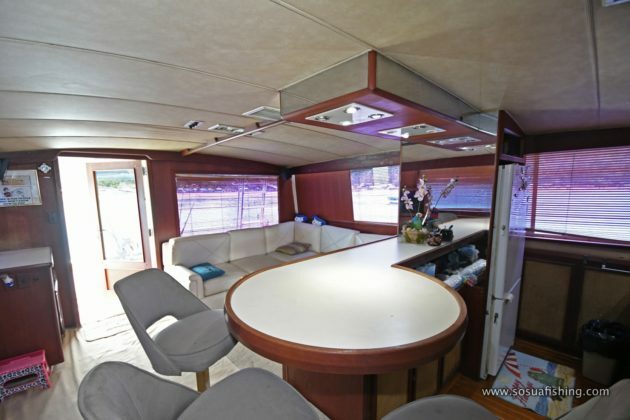 This yacht can also be used for sailing tour and parties in Sosua, along the coast and beaches departing from Sosua bay. 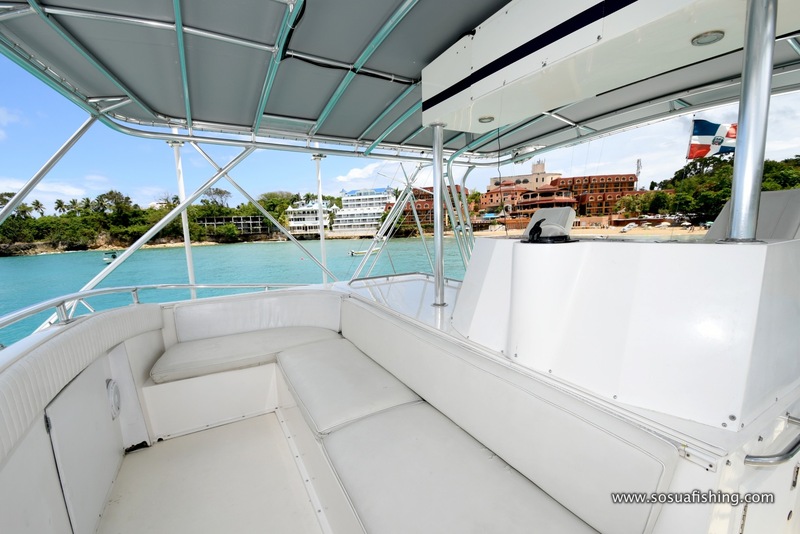 Rates for this yacht start at $850.00 for 10 people from 8am-12 or 1-5pm; contact us for Sunset tours from 5-7:30pm. 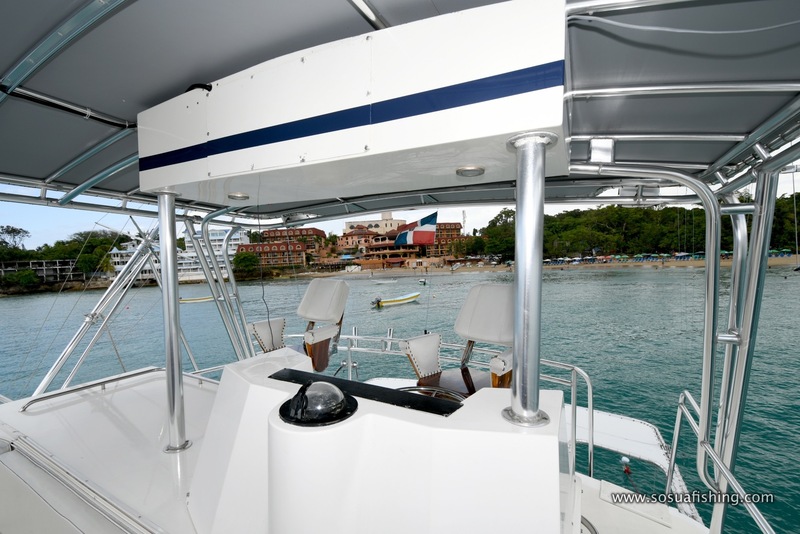 Other yachts can be combined for larger groups.